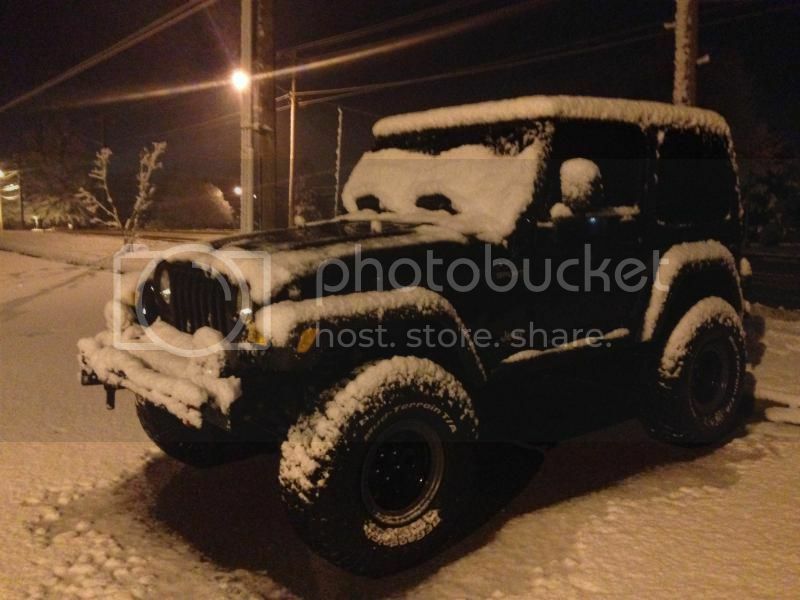 Post pictures of your Jeep in the snow! On top of Rollins Pass earlier this year.12k feet! This is most snow I've been able to find so far this winter hopefully we'll get some decent snow soon. This is the only snow we got so far. Spine of God likes this. 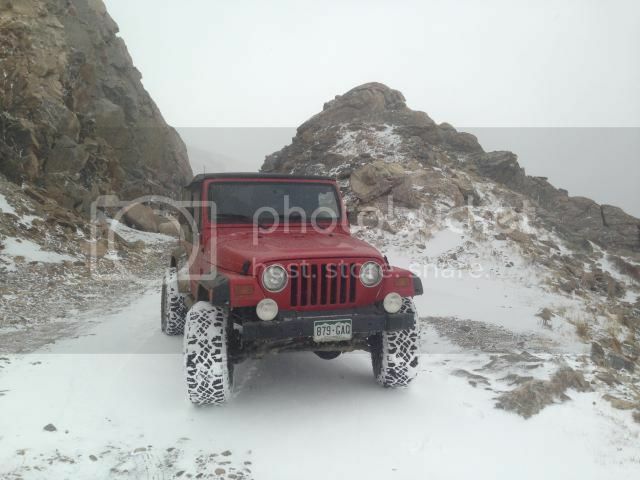 Ahhh, there's nothing like a red jeep in white snow! 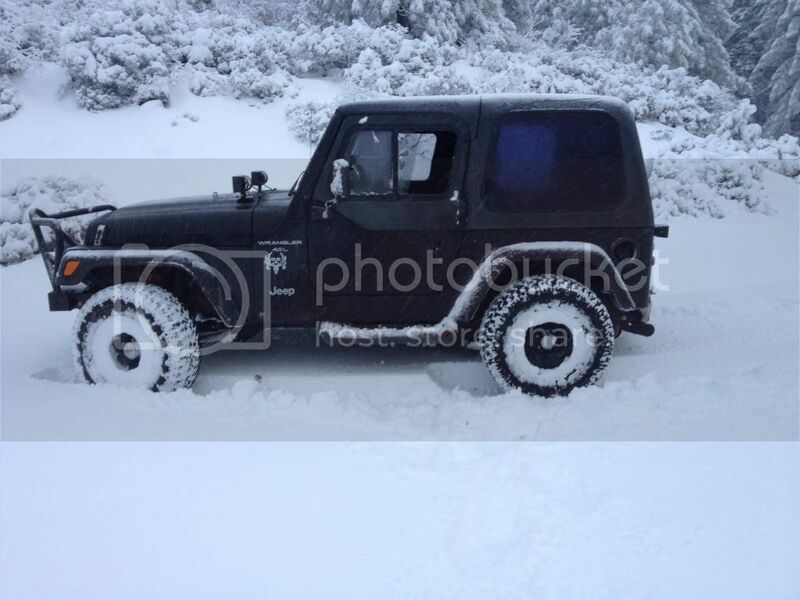 Anyone any good off-roading places for my Jeep in the snow for SoCal? 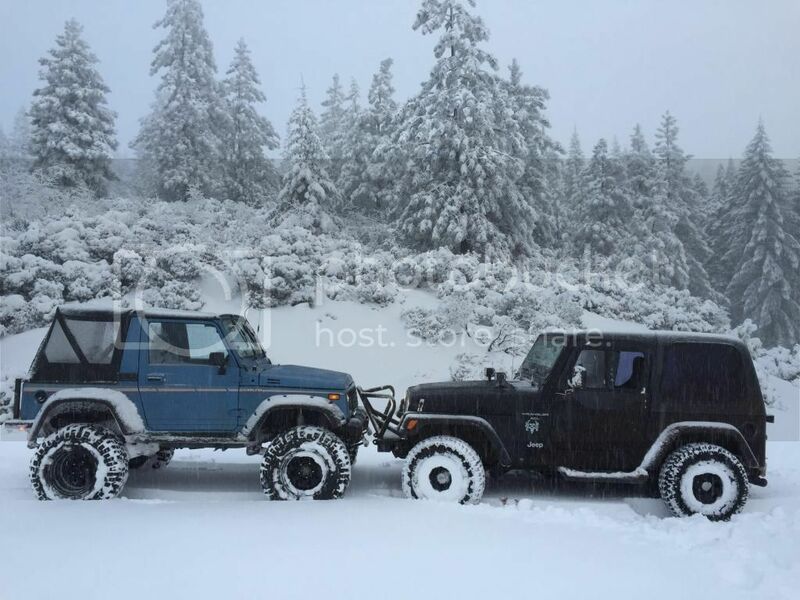 Not too much snow in the field, but the drive up the mountain was all ice and compact snow. 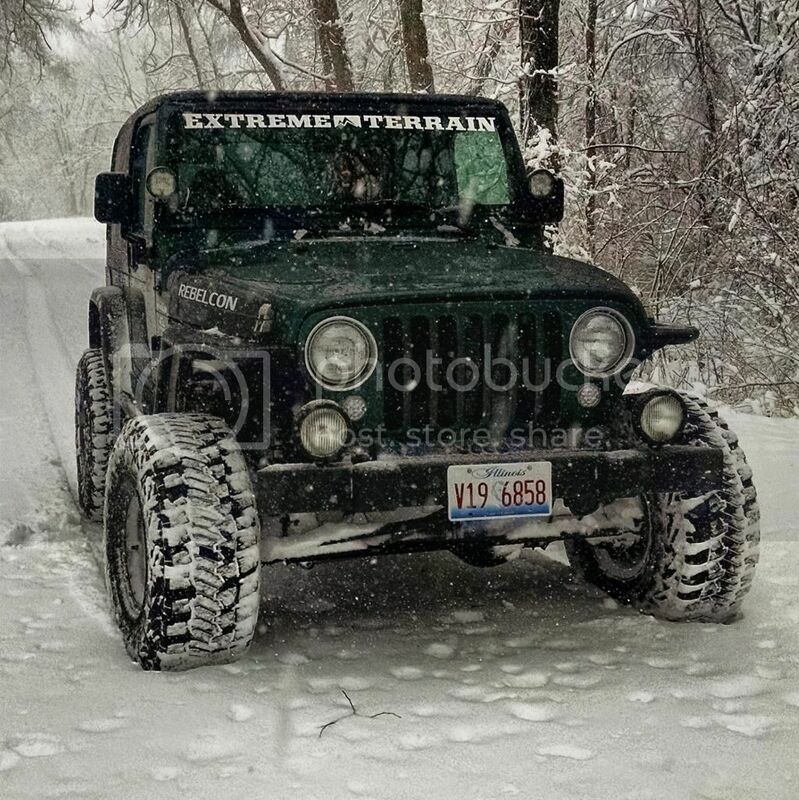 Gotta love that midwest snow! Yeah buddy, we got 15 1/2" on Feb 1. Supposed to get more snow tonight, Wednesday, Saturday and Sunday. I guess winter wanted to come all in one month. Leaving our driveway this week.